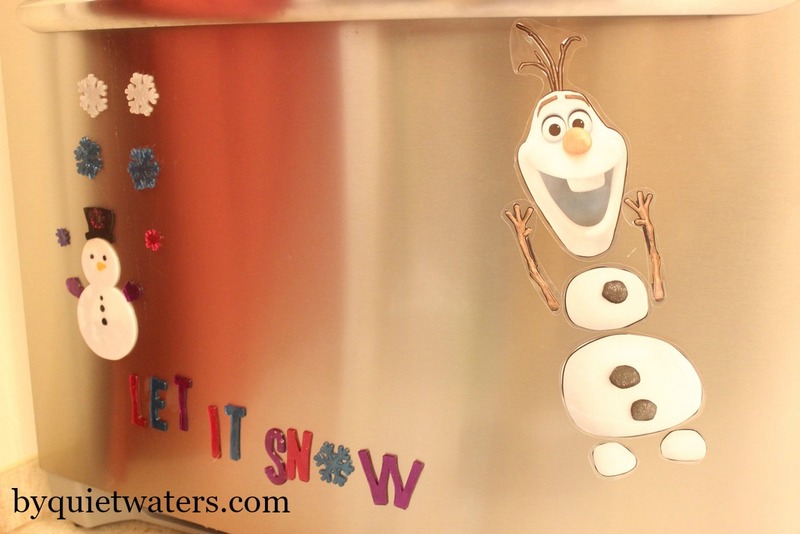 I found some FUN Frozen inspired ideas for a toddler or preschool busy bag on the Disney Family website. 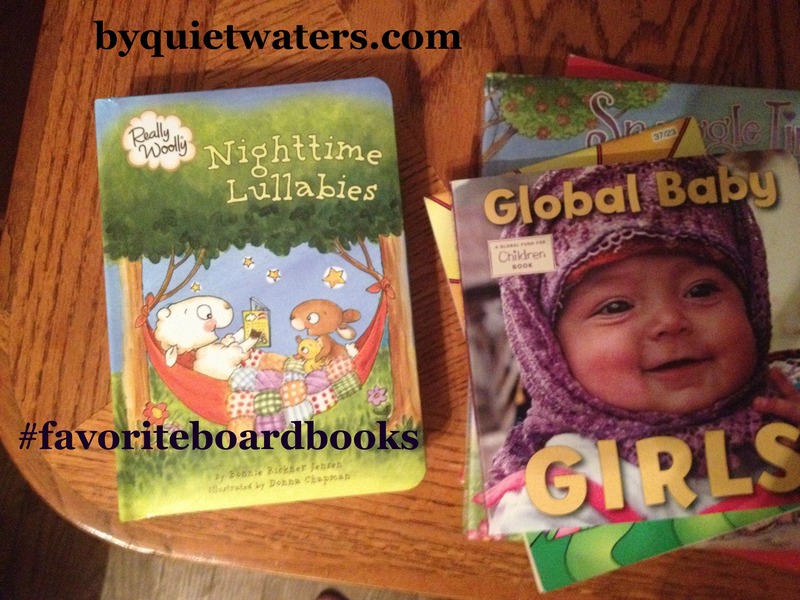 My wheels are often turning for the different ways to keep little ones busy and this printable was a great find. 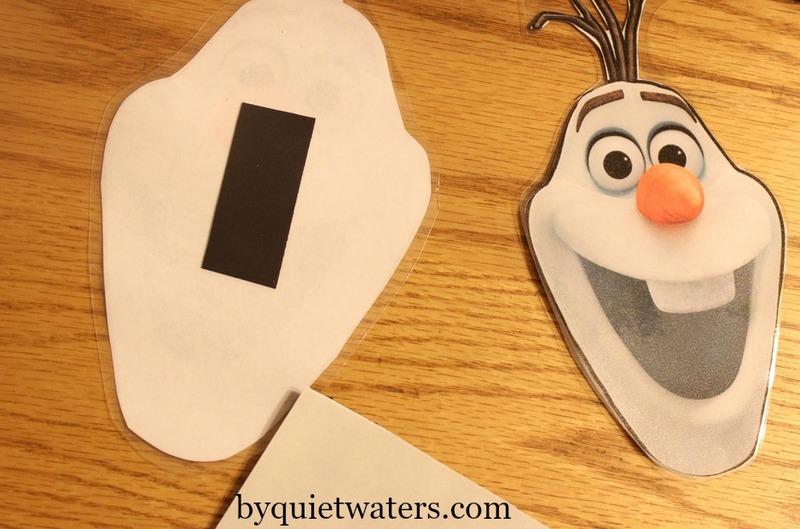 Using this Frozen printable, I created quick and easy invitation to play. After printing the template, I roughly cut each piece out, then laminated the set. (I use this Scotch laminator) Then, I cut out each of the pieces again. Applying adhesive magnets to one set, I instantly had an activity for the refrigerator. I popped on the magnets and designed an invitation to play right there on the fridge. And that invitation might well extend to older members of the family. Seems “big” kids find magnetic characters too tempting to resist. The second set of laminated printable went into a ziploc bag and is sitting in the “busy bag” tote for kiddos to find. 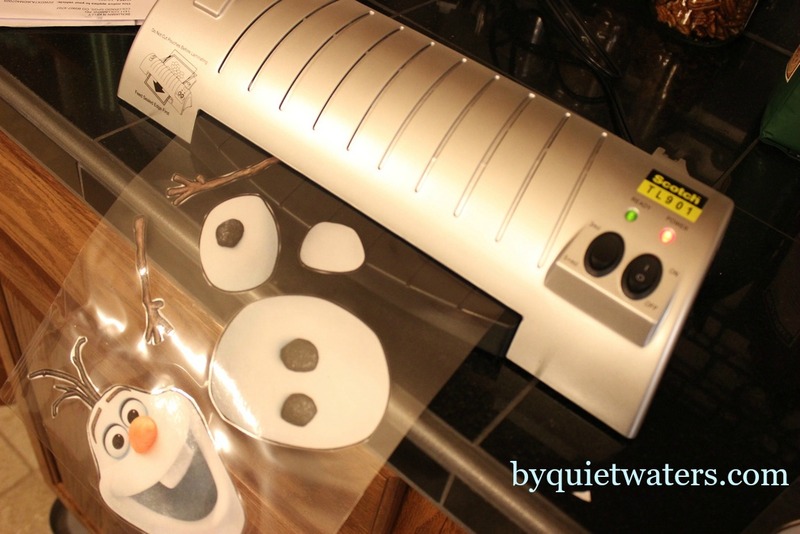 Super easy, fun little Olaf magnet and Snowman play forms provide an invitation to play. Do you reserve space on your fridge for grandkids to play? Check out the Imagination Tree for Invitation to Play inspiration. A cheerful new book is available from TyndaleKids, with a simple but most important message; Love hides in each of us, until we give it away. Then it grows! This cheerful book arrived in the mail on the same day that Miss Joyness’ beloved Papa arrived home from his work in North Dakota. When I first opened the package and looked at the book, I wasn’t sure Miss Joyness, at almost 4 years old would take to it. She’s getting quite big, you know?! But lifting flap to find where love might hide became a delightful activity. I think the storyline is a little abstract at first, but with some conversation Miss Joyness began to understand a little better. 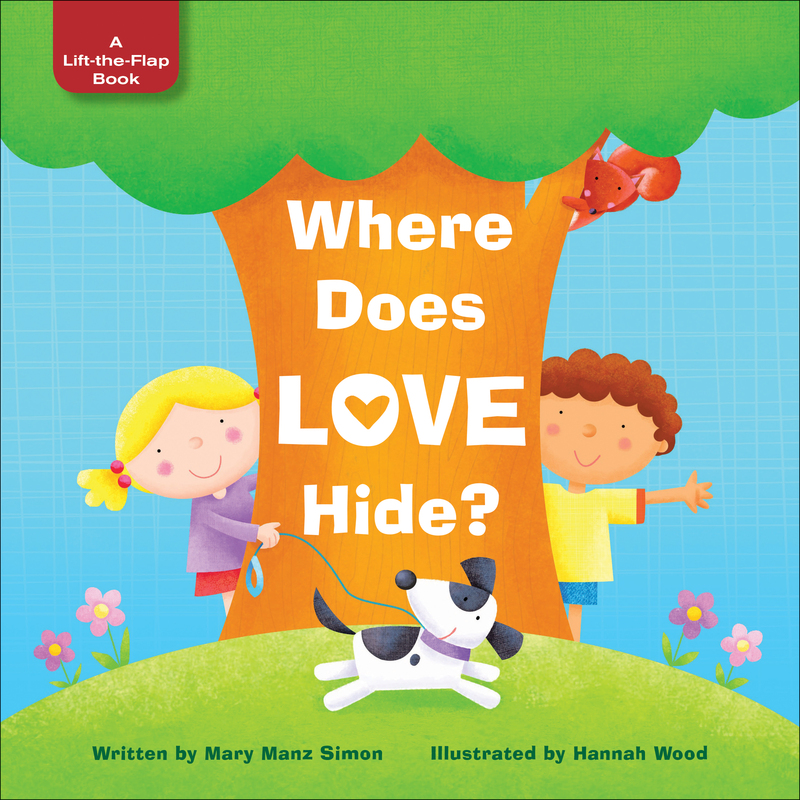 On each page of “Where Does Love Hide” there is a question about where love is hiding, in many different situations a child would be familiar with. Under the flap, the hiding place is found, along with simple Scripture to make the connections of truth and love. 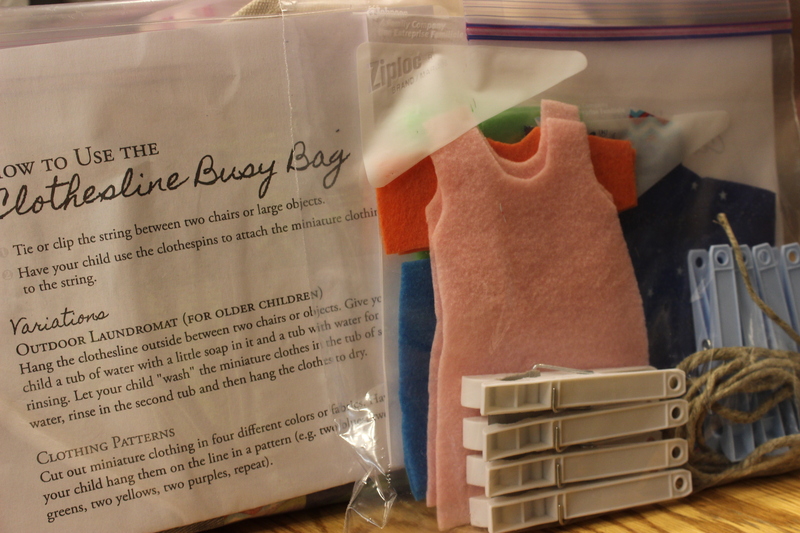 This Clothesline Busy Bag has sat in a tote full of activities that I cycle through with my grand-daughter. Recently I pulled out this one, for the first time and spent some time showing her how to clip the fabric with a clothes pin. The fine motor skills needed for this activity were a stretch for Miss Joyness, which made this a fantastic activity for her on that morning. 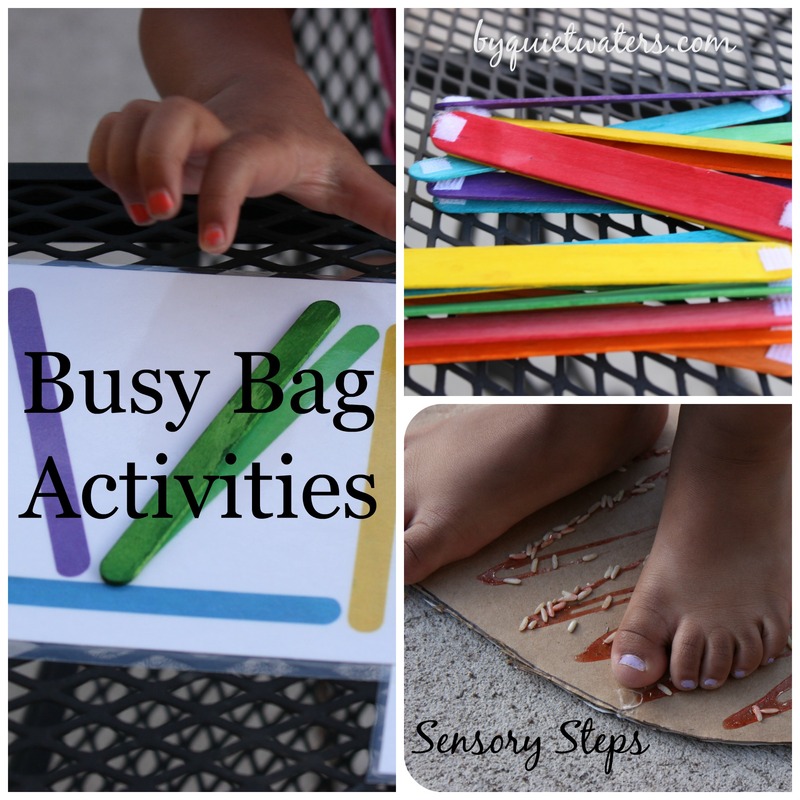 I originally found the idea and pattern for this busy bag at Money Saving Mom. To make this activity I used felt from the stash that supplied other busy bags, and found a package of clothes pins at Target. After I made the felt set I took some other fabric scraps and cut a lightweight cotton set as well. We have a fun little plastic sand and water table that is super fun to have on the back patio. In the winter it serves another purpose. 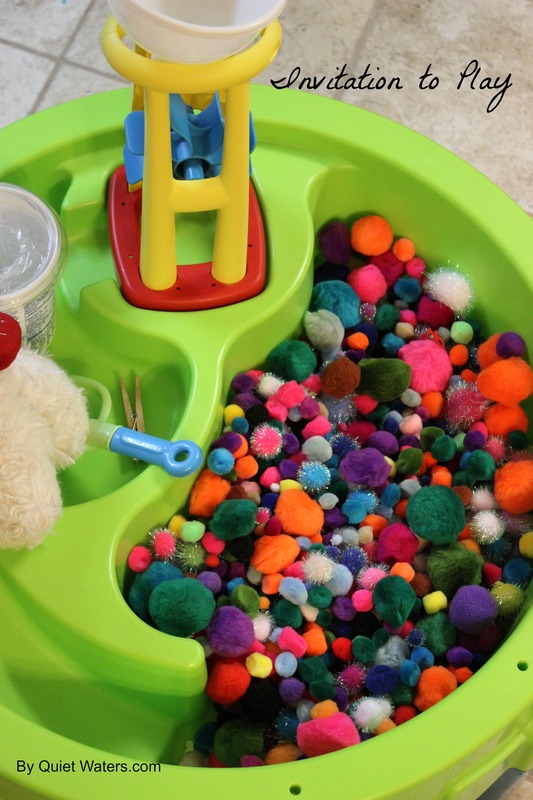 Filled with pom poms it becomes an invitation to play! After the initial exuberant joy over so much color and texture, Miss Joyness settles down a little and started “cooking dinner”. She served green pom bacon, which had me chuckling! A little later she made an exciting discovery. In the mass of poms I had hidden a few things. She was very taken by the sparkling butterflies. We counted them and talked about what butterflies are. It was precious.